President Donald Trump's son-in-law and top White House adviser Jared Kushner left a meeting with Russian lawyer Natalia Veselnitskaya and Trump campaign officials after 7 to 10 minutes of the 20 to 30-minute long meeting, according to Veselnitskaya. The meeting, which took place in Donald Trump Jr.'s offices in Trump Tower on June 9, 2016, has become the subject of intense scrutiny since it was revealed that the president's eldest son was told that Veselnitskaya was a "Russian government attorney" seeking to share damaging information about Hillary Clinton as "part of Russia and its government's support for Mr. Trump." Veselnitskaya told NBC News that Kushner and Manafort were not introduced to her by name and she only realized who the men were after seeing their photos in the news in recent days. The lawyer, who has represented Russian state-run businesses and the son of a senior Russian government official, said that Kushner left the meeting early. "I could recognize the young gentleman who was only present in the meeting for probably the first seven to 10 minutes, and then he stood up and left the room," she said. "It was Mr. Jared Kushner. And he never came back, by the way." She added that Manafort seemed to be disengaged in the conversation, with his focus on his cell phone, and described him as "absent-minded." "All the time he was looking at his phone. He was reading something. He never took any active part in the conversation," Veselnitskaya said. "That was Mr. Manafort." Manafort, a longtime Republican political operative, resigned from the Trump campaign in August 2016 amid questions about his business dealings in Ukraine and his ties with Russians. He has since been under criminal investigation by the FBI. 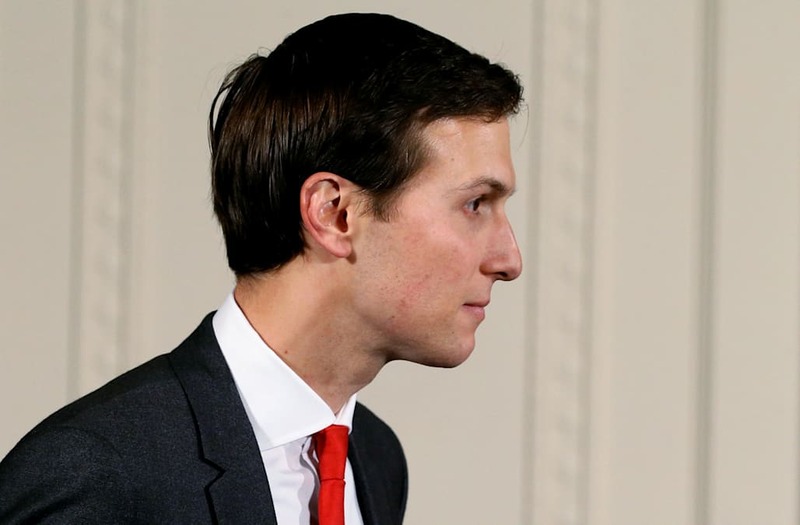 It is unclear why Kushner left the meeting, during which Trump Jr. and Veselnitskaya claim to have primarily discussed the 2012 Magnitsky Act, a US law that blacklists Russians suspected of human-rights abuses, which Veselnitskaya has aggressively lobbied to have repealed. Veselnitskaya told NBC News earlier this week that Trump Jr. asked her whether she had any "financial records which might prove that the funds used to sponsor the DNC were coming from inappropriate sources." The lawyer denies ever having incriminating information about Clinton, who was then set to become the Democratic presidential nominee. Trump Jr. said in a statement on Tuesday that the promise of damaging information was likely a "pretext" for setting up the meeting in order to discuss US sanctions on Russia. As part of a wide-ranging inquiry into the Trump campaign's possible ties to Russia, Justice Department special counsel Robert Mueller is reportedly investigating Kushner's communications with the head of a major Russian state-owned bank, Sergey Gorkov, who is a close confidant of Russian president Vladimir Putin, and with Russia's ambassador to the US, Sergey Kislyak, as well as his role in the Trump campaign and relationship with former White House National Security Adviser Michael Flynn. In May, The Washington Post reported that Kushner and Kislyak may have discussed establishing a secret communications backchannel between the Trump transition team and the Russian government. Reuters also reported in May that the FBI is examining whether Gorkov suggested to Kushner that Russian banks could finance Trump associates' business ventures if US sanctions were eased.